Brand: Wilton 1904-1017 Units: 1 set/ 3 pcs. Total Use tools to dip treats and candies into melted chocolate. Set includes a 3-prong fork for flat treats and pretzels, a cradle for dipping round treats, and a spear for inserting into marshmallows and other soft treats. Tools are approximately 9 1/4" long. Stainless steel tools with plastic handles. Use tools to dip treats and candies into melted chocolate. 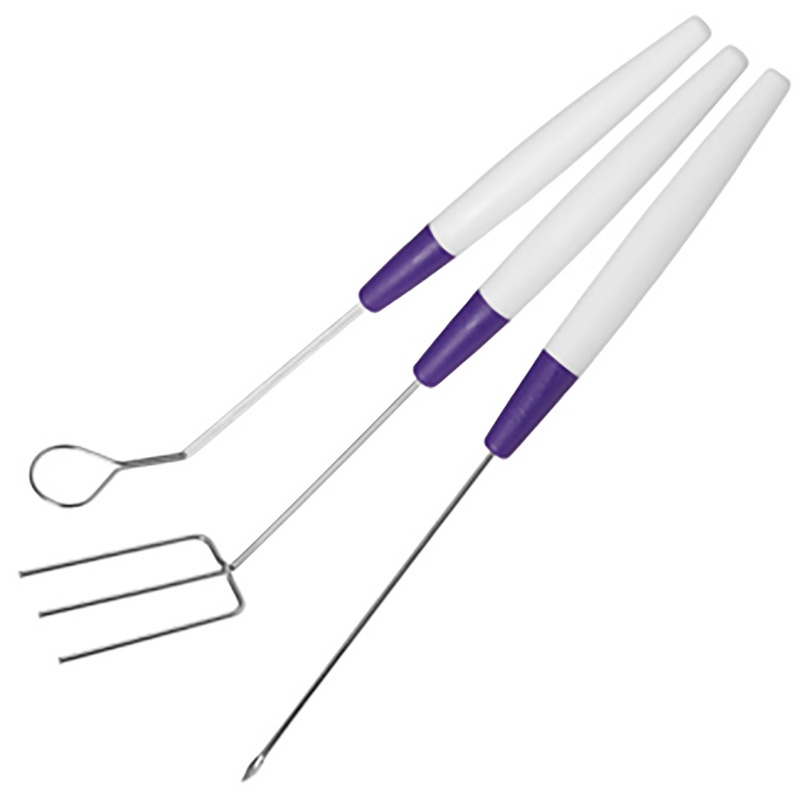 Set includes a 3-prong fork for flat treats and pretzels, a cradle for dipping round treats, and a spear for inserting into marshmallows and other soft treats. Tools are approximately 9 1/4" long. Stainless steel tools with plastic handles.